“Silent night, holy night; all is calm, all is bright” are the opening lines of the most famous Christmas song the world has heard. Considered THE soundtrack for Christmas, this song has been heard from nativity plays and advertising jingles to carol singers and shopping centers. 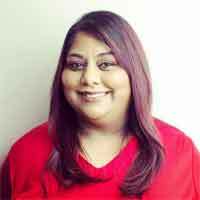 This song which captures the spirit of the season far better than any other, has been recorded by opera singers to Bing Crosby and even Jimi Hendrix who were all keen to pay their respects to this Christmas song which celebrates its 200th anniversary this year. 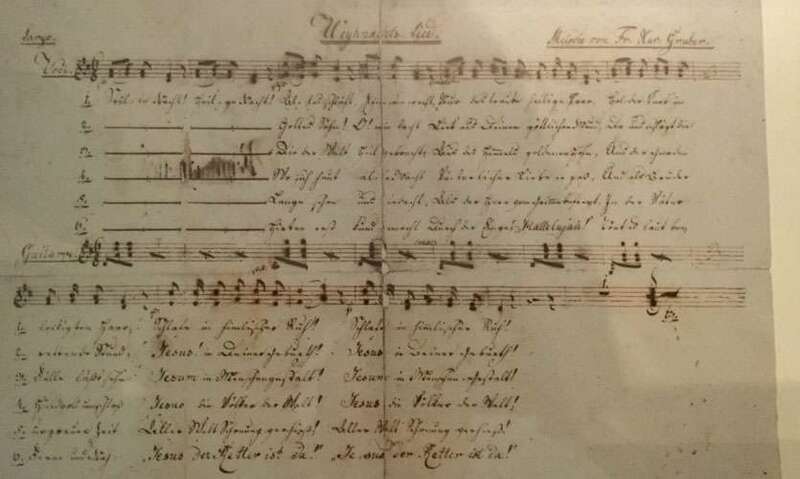 Written by Joseph Mohr with the melody composed by Franz Xaver Gruber, this song traces its origins to a poem written 200 years ago in the picturesque countryside around Salzburg. 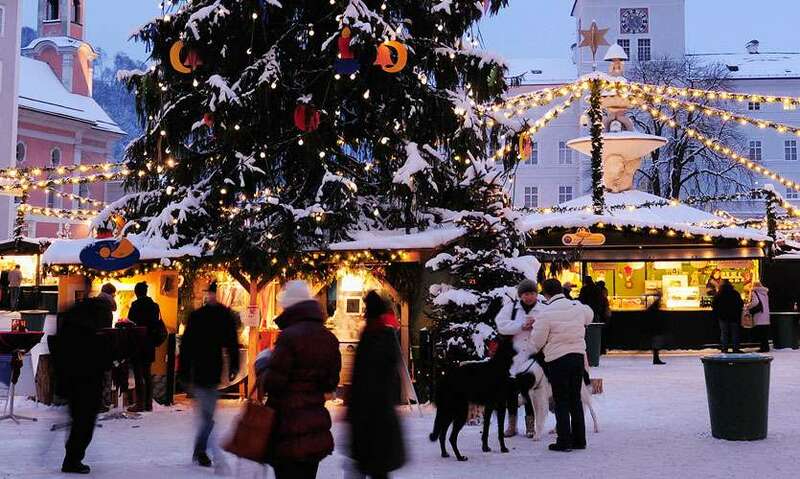 Due to the song's worldwide acclaim, Austria is keen to celebrate the milestone anniversary of this Christmas song and the whole country, particularly Salzburg is gearing itself up to host a variety of events to commemorate this momentous occasion. Various museums, special exhibitions, churches and theme trails invite visitors to engage with a unique cultural heritage that moves people from all over the world in different ways. In the little town of Mariapfarr visitors can find a statue of Joseph Mohr the creator of this epic Christmas song on the Silent Night Fountain. Mohr was a curate at the15th century church in Mariapfarr. It is said that he would have been inspired by the large nativity scene in the church which comprises an image of the cherubic baby Jesus with golden hair. Also in the vicinity is the Silent Night Museum. This houses a collection of nativity figures dating back 250 years which Mohr would have arranged in the church for Advent. The most famous exhibit here is the facsimile signed by Mohr of the manuscript for a “Christmas Song” the original name of Silent Night. A scenic 40 mile drive away from Mariapfarr in the village of Wagrain is where Mohr taught in a local school. He subsequently died there and his grave lies in the local church. 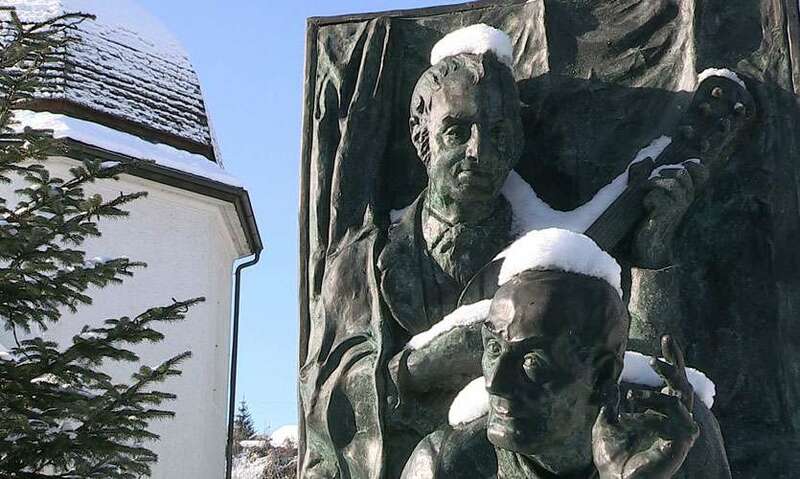 To learn more about Franz Gruber the creator of Silent Night, one can travel to Hallein a town south of Salzburg. Gruber’s former home, this15th century parish house has been transformed to yet another Silent Night Museum. Here you can find a beautiful oil painting of Gruber portraying him as a man with a kind face and bushy sideburns. Also on display is the 200 year old guitar used by Mohr. 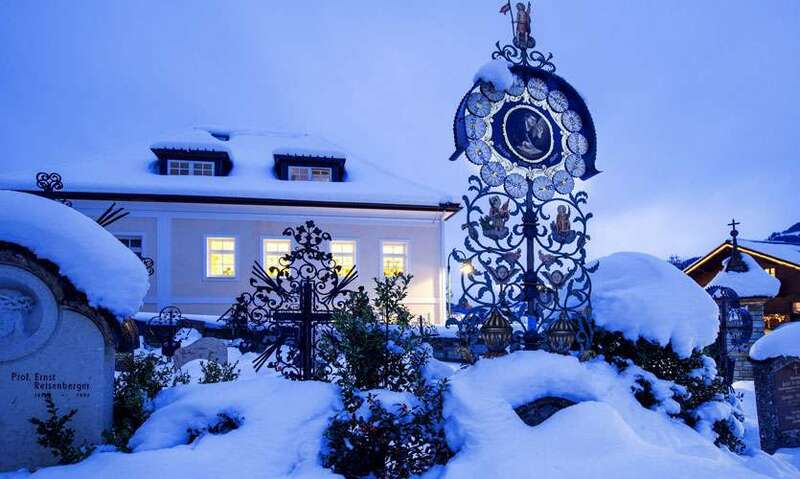 The most important location in the story of Silent Night is Obendorf which lies north of Salzburg. It is in this town that parish priest Mohr and organist and choirmaster Franz Xaver Gruber cemented their friendship. It is said that on ChristmasEve in 1818 they discovered that the church organ at St Nicholas was not working due to mice eating through the bellows. 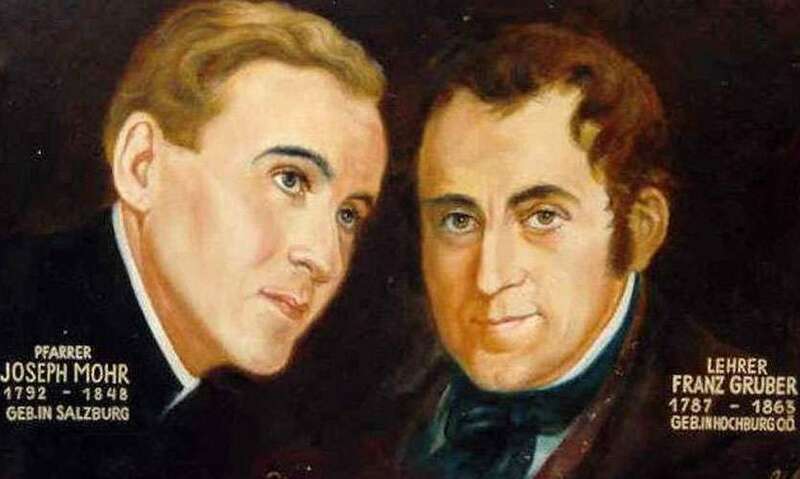 In order to resolve the predicament of not having music for Midnight Mass, Mohr pulled out the poem he had written and Gruber composed a melody which Mohr played on his guitar while the two of them sang Silent night for the first time thus making history.